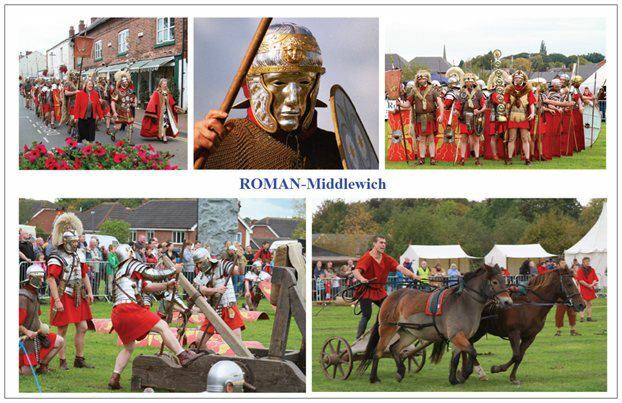 Thought this new "addition" to the EXTRA LARGE POSTCARDS SET I have designed and created for our local Middlewich Shops to sell to residents and visitors alike would be nice to have as part of the set This follows the very successful ROMANS in MIDDLEWICH MTC Event in September of this year. They can be found in a number of local shops. like CLEDFORD POST OFFICE-TEMPTATIONS-NUMBER 28-etc.